Beware: Avengers: Endgame won’t have an intermission and Kevin Feige says you won’t "find a good time to run out to the bathroom"
So, no pee break for you – unless you want to risk missing something big. Co-screenwriter Christopher Markus calls it “a tight three hours,” which speaks volumes of the confidence that everyone involved has for this extended runtime. There’s also not going to be an intermission. 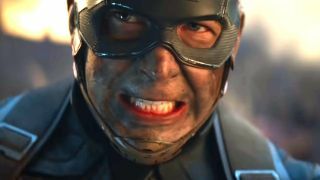 Anthony Russo tells ComicBook.com that the topic of a mid-movie break to let us all gather our collective breaths was something they only “discussed in jest”. So, it’s three hours. And that’s that. Some word of advice: Go before you get in to the cinema. You might just regret it otherwise. Here are some of the best Avengers: Endgame theories to tide you over for another few weeks. Not long to go now!